"FOR SALE" - "FOR LEASE" - "FORECLOSURE"
Signs like these posted on any property will attract HVAC condenser thieves like a magnet! The last thing you need to be dealing with when trying to sell or rent a property is vandalism to the HVAC system. Damage to the HVAC system can make a property impossible to lease and difficult to sell. These thieves think nothing of the value of HVAC systems they destroy or the thousands of dollars they cost you. Fortunately, there is something you can to to protect your property and HVAC equipment. AirNow offers the "Silver Service Theft Deterrent Program" to help protect you from this type of loss. Three highly visible and strategically placed signs. 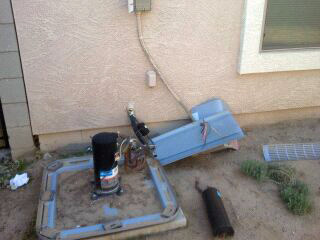 One placed on the face of the backyard gate and two more on each side of the air conditioner condensing unit. Wipe down all non-porous areas of air conditioner and disconnect box, then we apply a coat of special clear spray that makes fingerprints more available for law enforcement should an incident occur. Our exclusive “Pit Bull” electrical disconnect protector. It has a 100 dB alarm with magnetic trigger which sounds off as soon as the electrical disconnect door is opened. This is the first thing copper thieves do to steal your unit or units. (Add $19 for each additional “Pit Bull”). We will deliver 4 to 6 door hangers to nearby homes explaining to them that the home has anti-theft deterrents and to call 911 and us if an alarm goes off. There is a $25.00 incentive for them to do so! Note: AirNow retains ownership & provides these products for your use as long as the home remains vacant or unoccupied. When the home becomes occupied, we will retrieve these products within 24 hours of your request. The Key to preventing theft of your HVAC system is to let thieves know it is not going to be easy to steal yours. We know AirNow HVAC Security Services and Products will do just that. 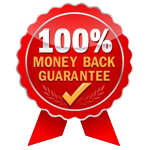 However, if in the event there is a highly motivated thief and your HVAC system is stolen or vandalized, we will refund 100% of your investment with a police department theft report.